Nickols-Richardson SM, et al. 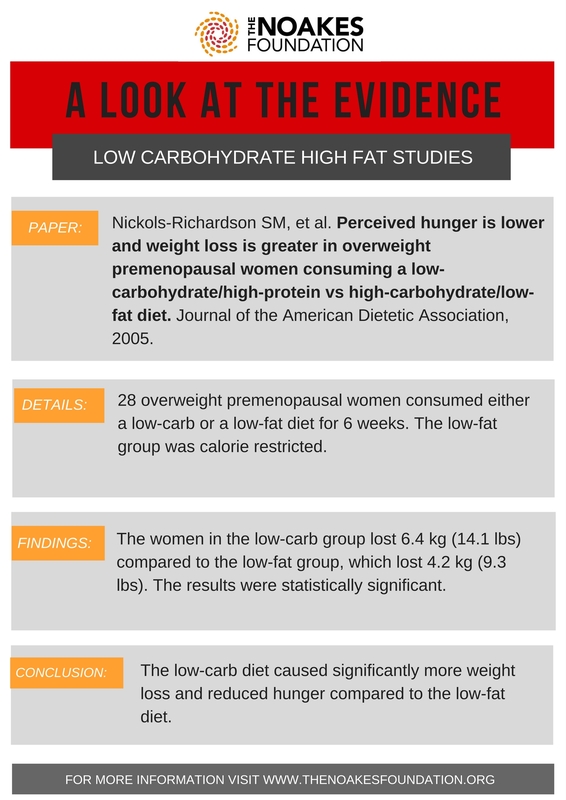 Perceived hunger is lower and weight loss is greater in overweight premenopausal women consuming a low-carbohydrate/high-protein vs high-carbohydrate/low-fat diet. Journal of the American Dietetic Association, 2005.